This is MAXFIND's fourth generation of wonderful work - MAX2. The products that Maxfind pioneered have already achieved quite good sales and influence in the international market. We have a fixed fan base in international online shopping platforms and most countries, they come from all over the world. They have different genders, ages, occupations, and lifestyles, but they all have one thing in common, they are cool! This new product of MAX2 is a new product after the upgrade.They have a technologically appealing appearance. They are great travel tools. I believe will be received more people. Switch：control the board on and off. The blue light keeps on after turned on, after paired with remote, it starts flashing. Trucks: control the board’s left and right direction. 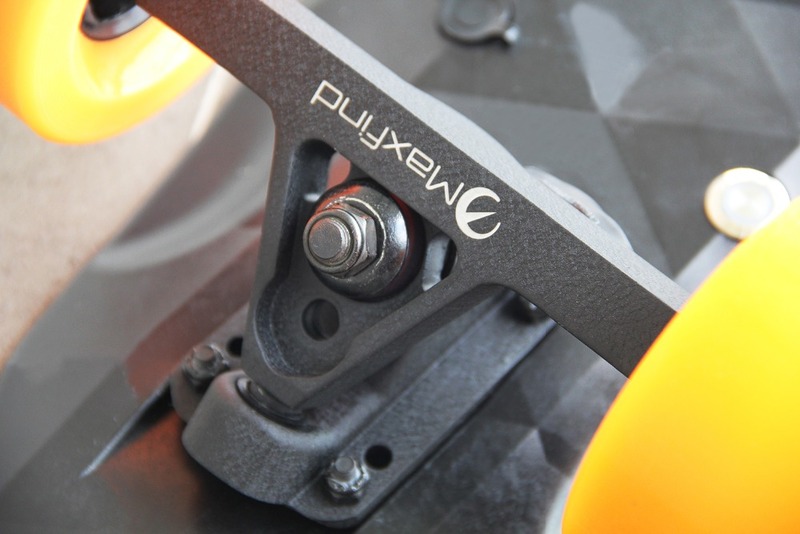 Hub motors: motor built-in wheels. Charging port : Please use original charging cable to charge by USB port of computer. When charging the red indicator light is on , when fully charged the red light will be off. 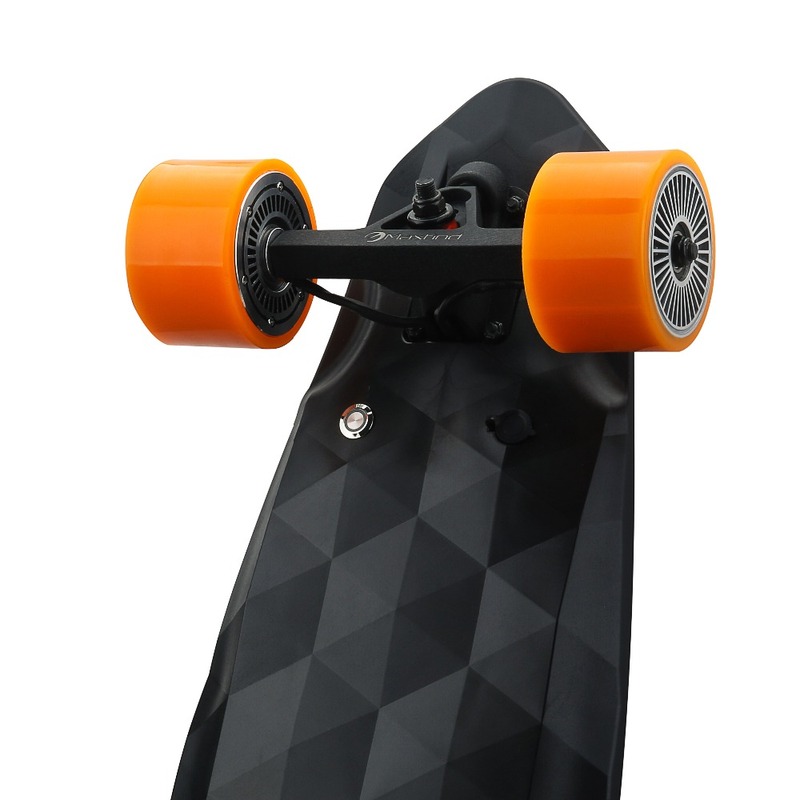 Cruise mode : When the speed over 10km/h, you press this button, the board will be set to cruise at that speed. You will be out from this mode by any other operation on the remote. 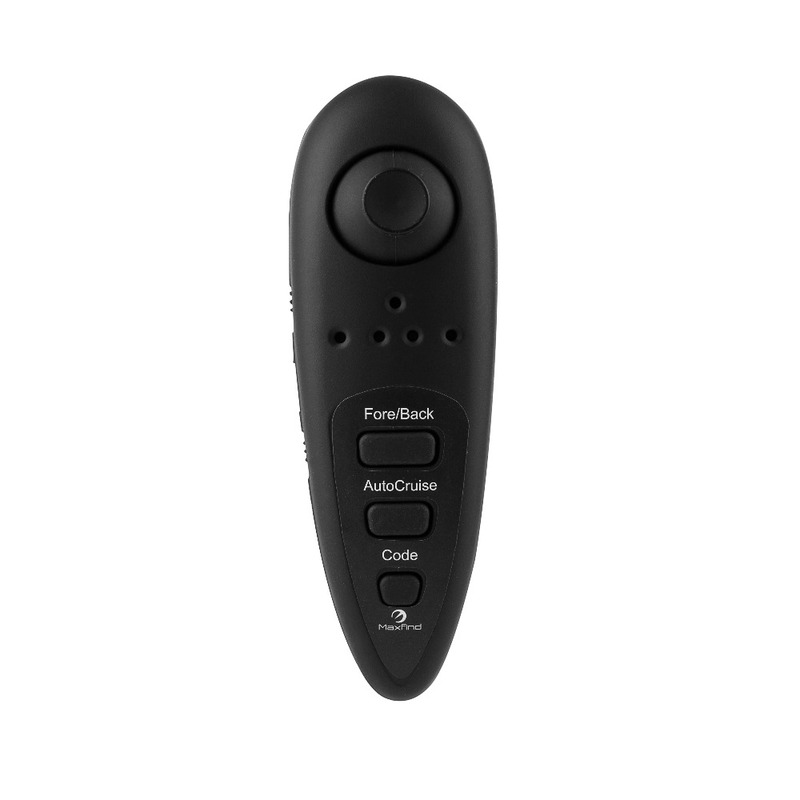 Code button: This button is for pairing, when the board finished production, they were paired with remote. Signal indicator ： Flash simultaneously with the board power light means paired. Power indicator : 4 lights indicate the power of the board. Do not over charge the remote, or it will destroy the remote battery. 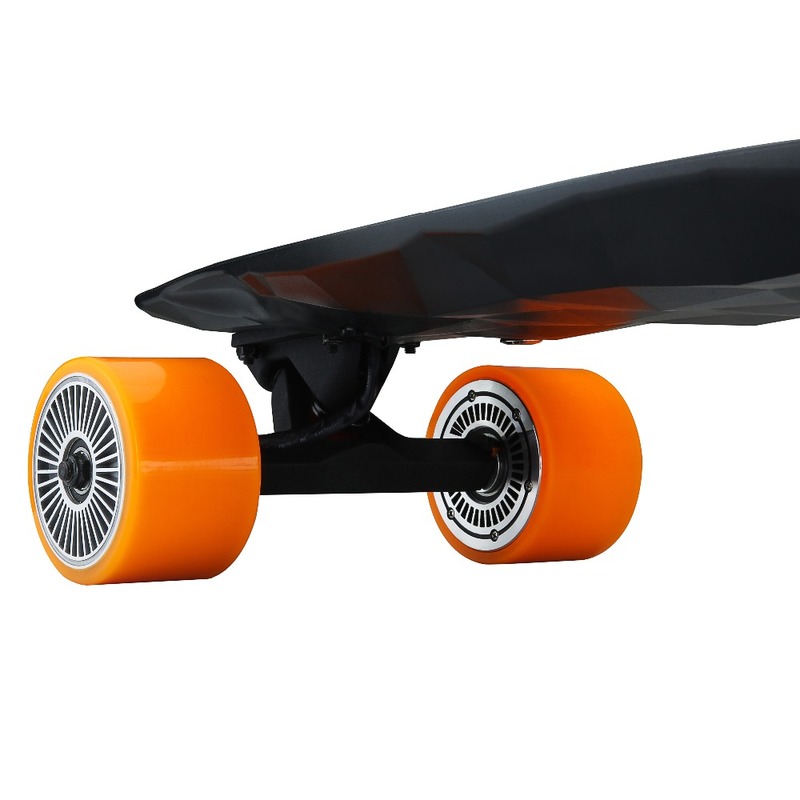 The remote will be in standby mode if the electric skateboard is off. (The remote will be connected again when the skateboard is on). 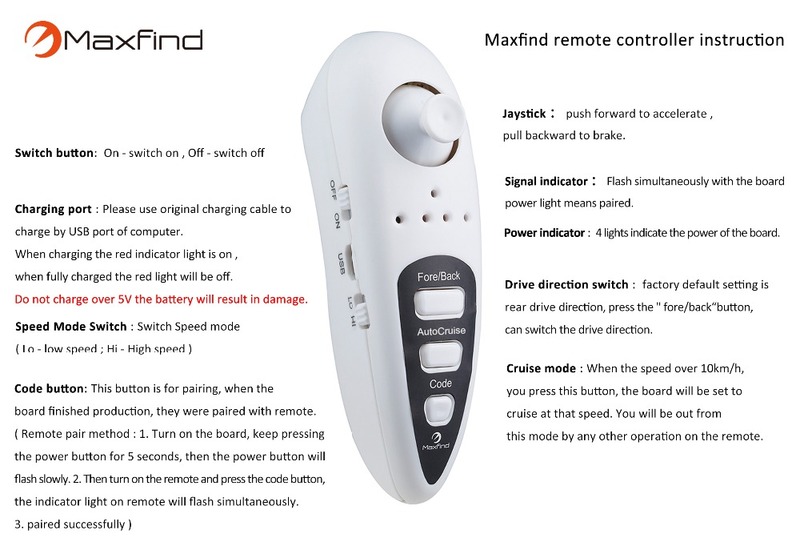 Please turn off the remote when non-use, or it will consume the remote battery and shorten the usage life of the remote battery. Remote range is about 10 meters, and it will be unconnected over this limitation. 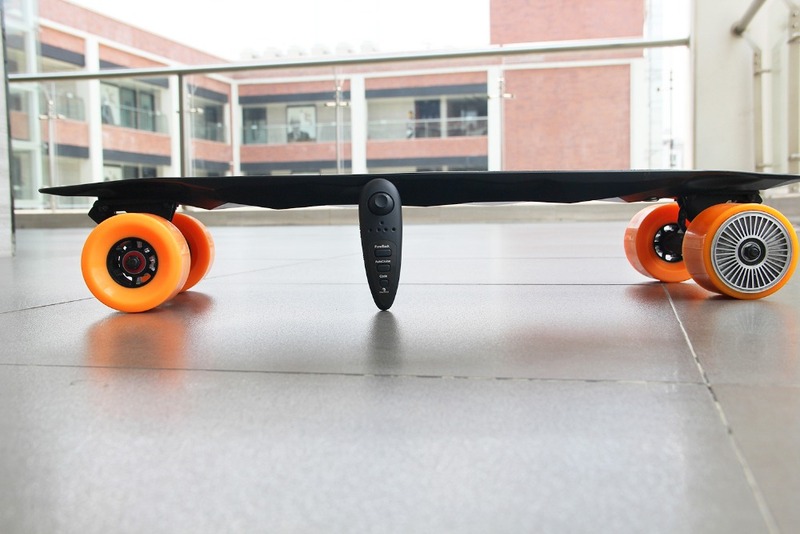 The skateboard would stop working once switching the direction mode, and it won’t be changed directions until the skateboard stops. Put the micro USB line on the remote charging port and connect with 5V power supply(charging port on computer will be ok). The inside light of the remote will be slightly red when charging and turn off when fully charged. Please do not over-charge the remote. 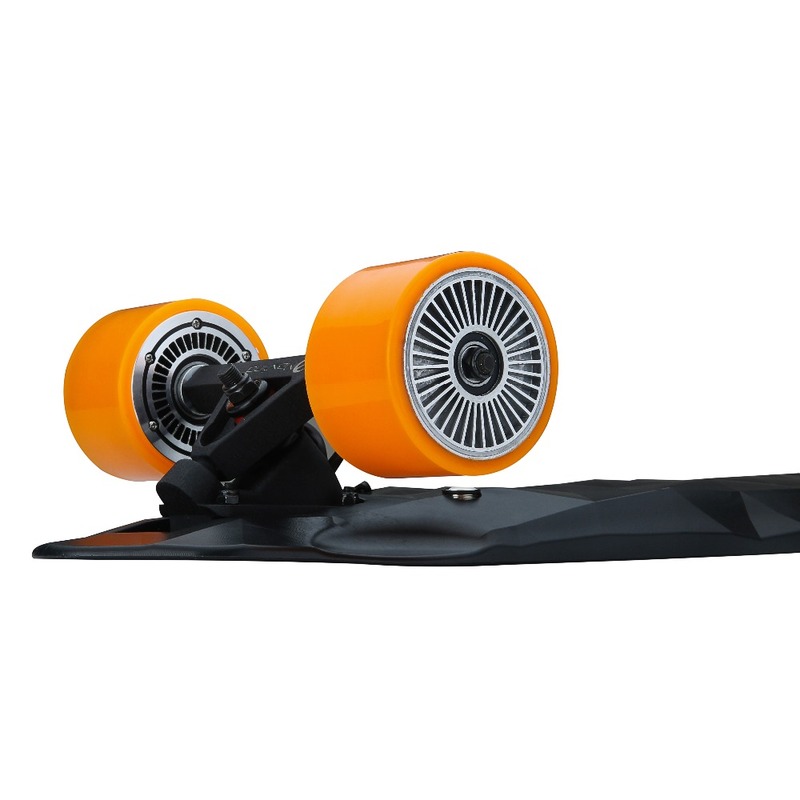 Please charge the electric skateboard/remote for your first fantastic riding. First, put the AC adapter plug with your household equipment, the light on adapter will be in green. If not, please check the power supply or change the adapter. 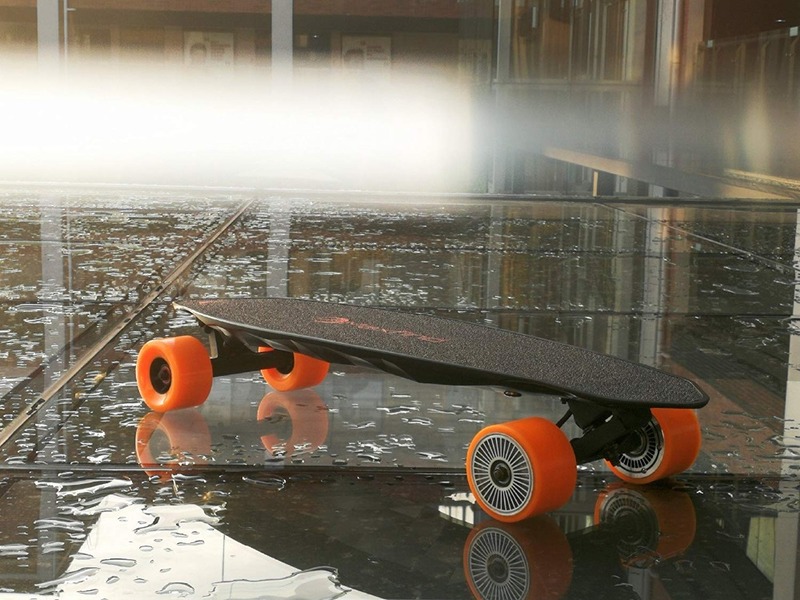 Second, Open the waterproof hat on the charging port and connect the adapter with the board. The light of the adapter will be in red when successfully charging and turn green when fully charged. 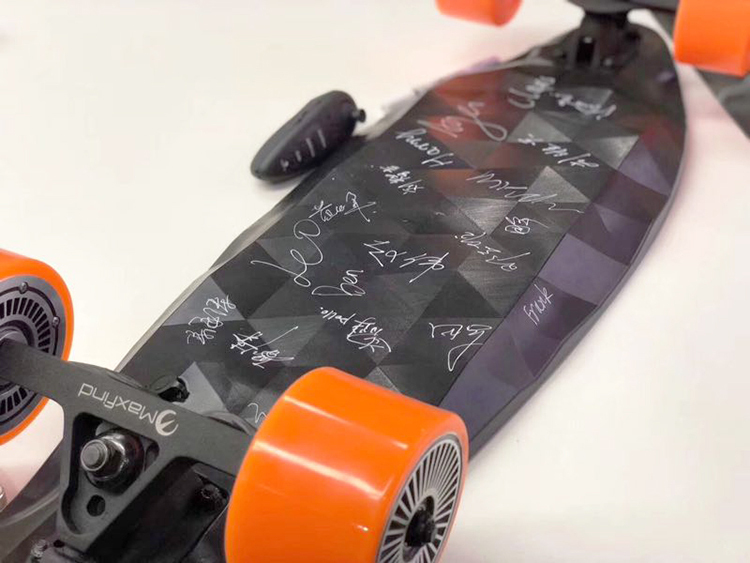 Please be sure to read this manual before riding the board, or Maxfind won’t be responsible for any damage caused by ignoring this manual’s warnings. 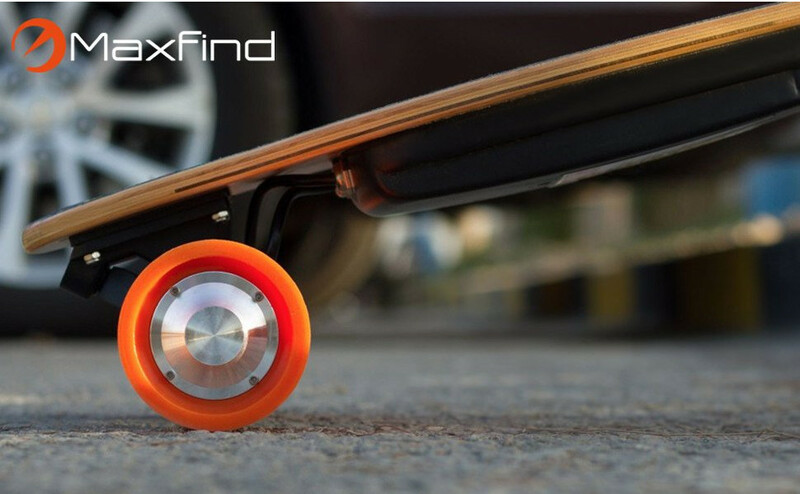 MaxFind is a trust-worthy brand in electric skateboards area since 2015. 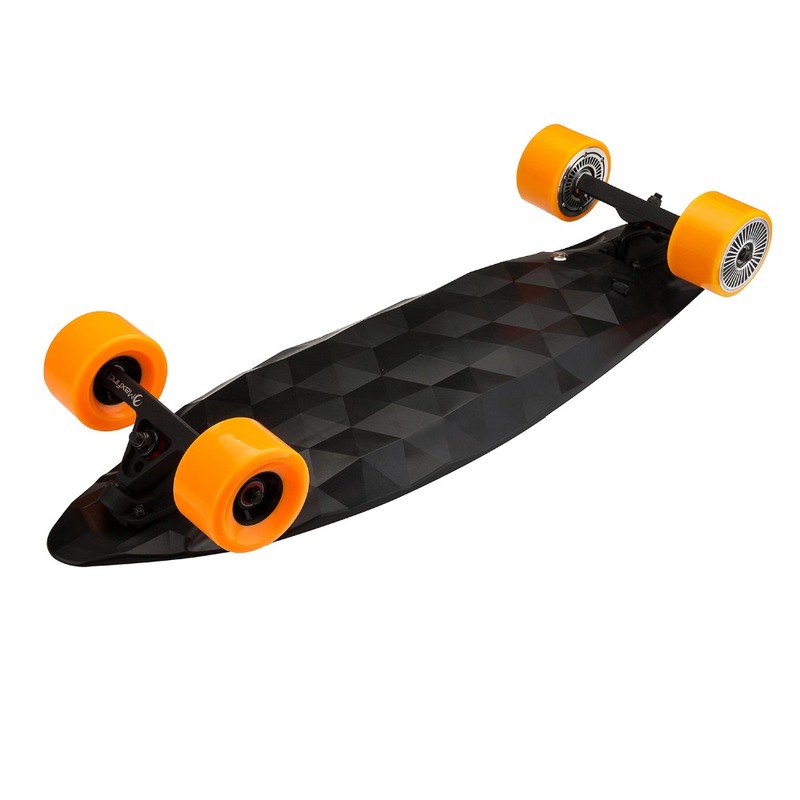 We are a company with factory background and electric skateboards research and development team. 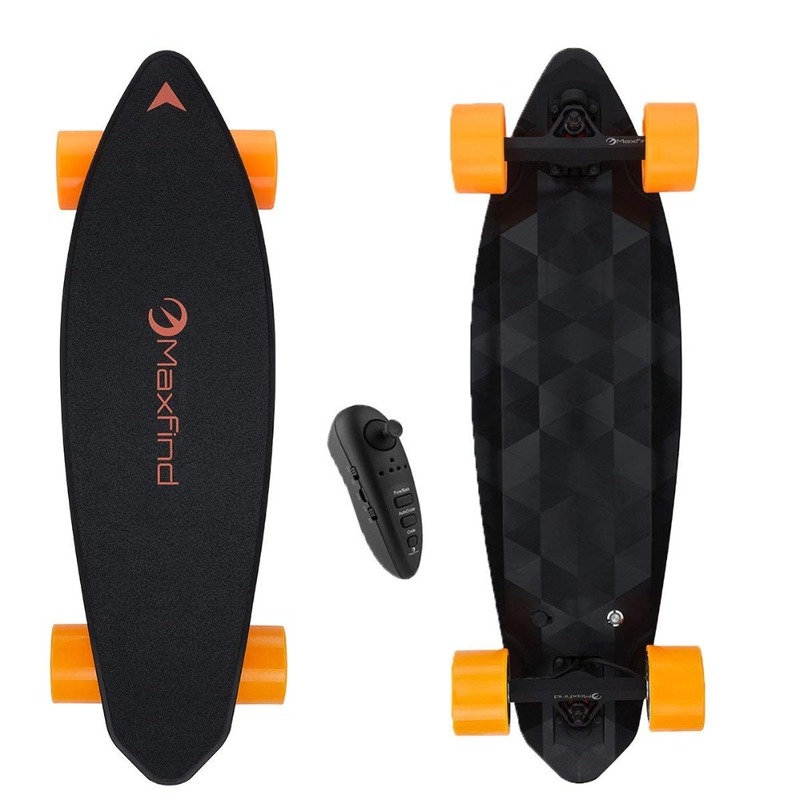 MaxFind is strive to bring the hightest safety standard and coolest electric skateboards and accessories with affordable price to our customers. 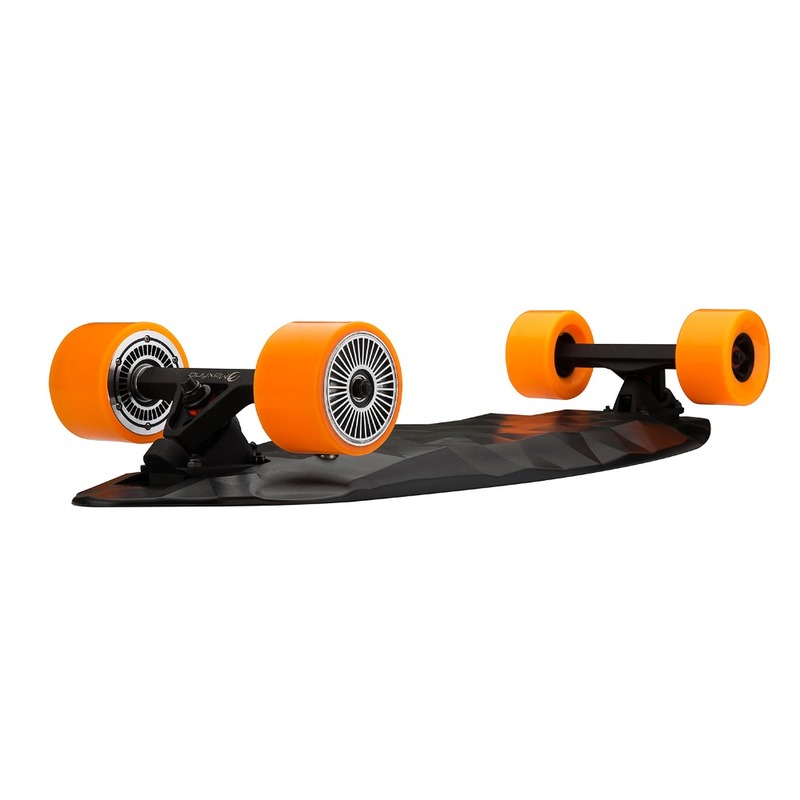 Our best-known Max A, Max B and Max C electric skateboards are increasingly popular all over the world. 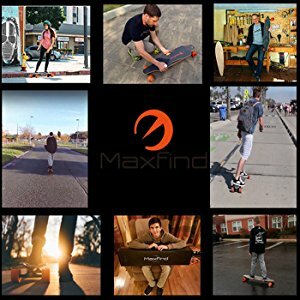 This is Maxfind only official flagship store, please recognize the accurate website (https://www.amazon.com/maxfind) and open to see the buyers' review. We had taken part in 2017 April Hong Kong Electronics Spring Fair & 2017 Oct Hong Kong Global Sources Consumer Electronics Show. 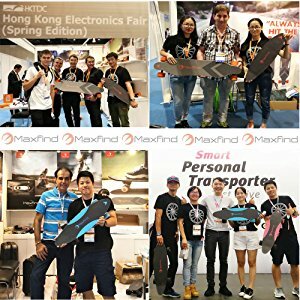 Maxfind electric skateboards has been appreciated and recognized by oversea customers, Maxfind as a trustful electric skateboard brand is more and more influential in the world. 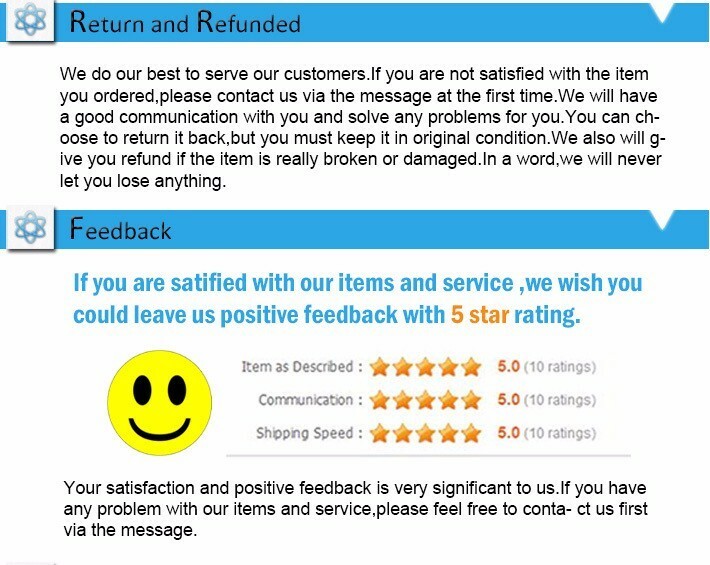 If you satisfied with our product, kindly leave full-stars and good feedback for us.Your feedback will encourage us a lot and we will leave good feedback to you too. Your encouragement is our greatest motivation.Thank you! 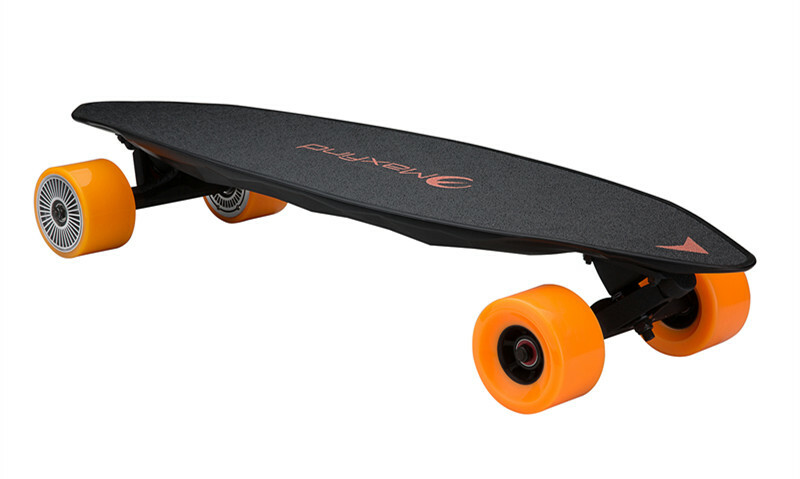 Q1: How fast is the maximum speed of skateboarding? A: The highest speed we measured with multiple APPs is 26~28km/h. 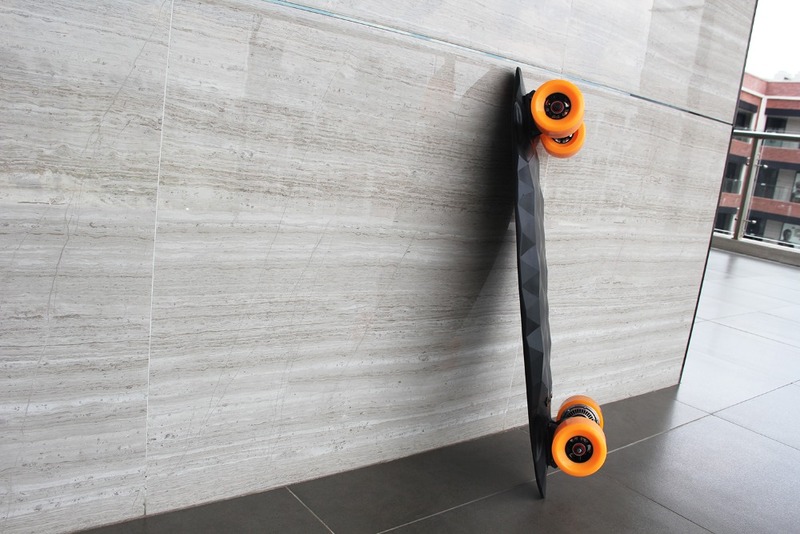 Q2: Can skateboards be used to play tricks? 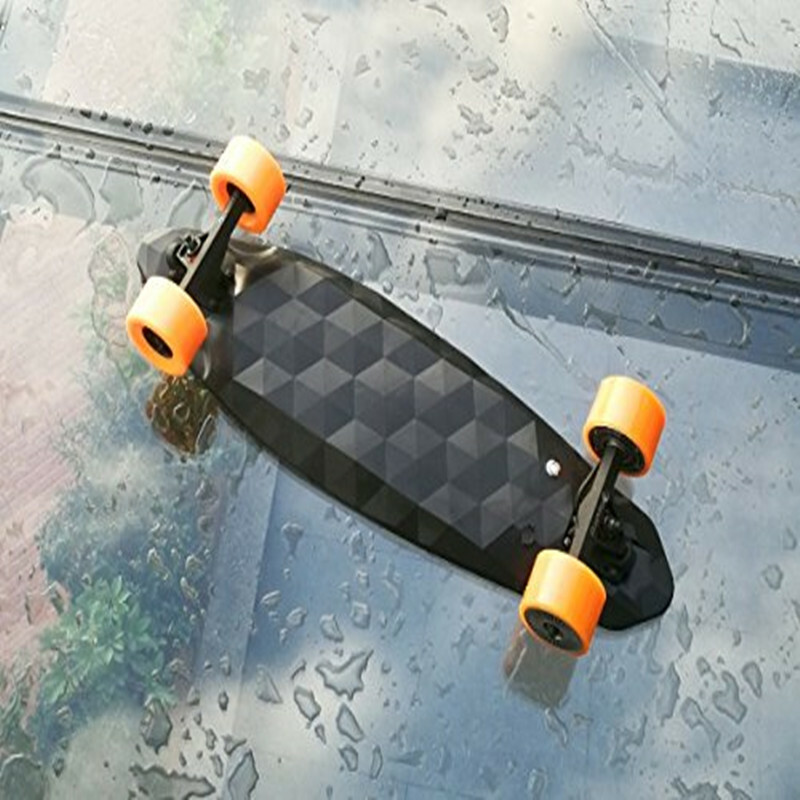 A: Our skateboarding position is used to solve the last mile and is a city transport tool, so buyers are advised not to try dangerous actions. 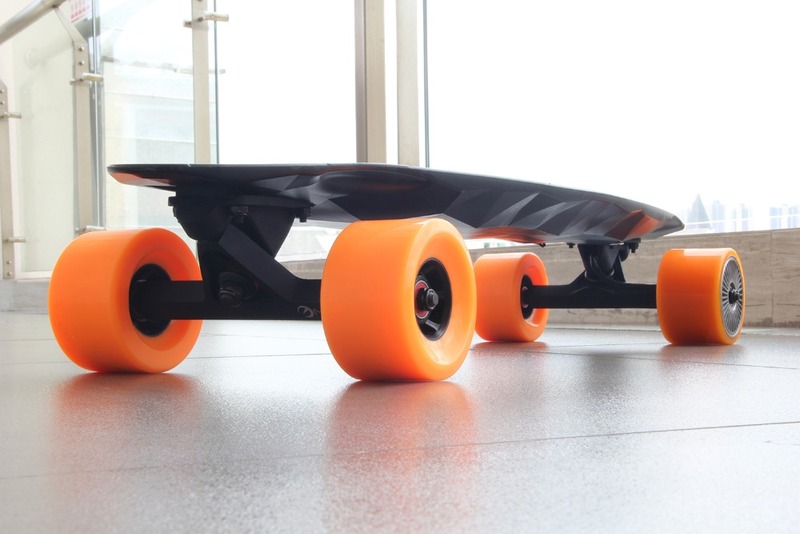 A: Each skateboard has a series of aging tests at the factory, which is more than 5 years of service in normal use. A: We control acceleration and deceleration through the remote control. 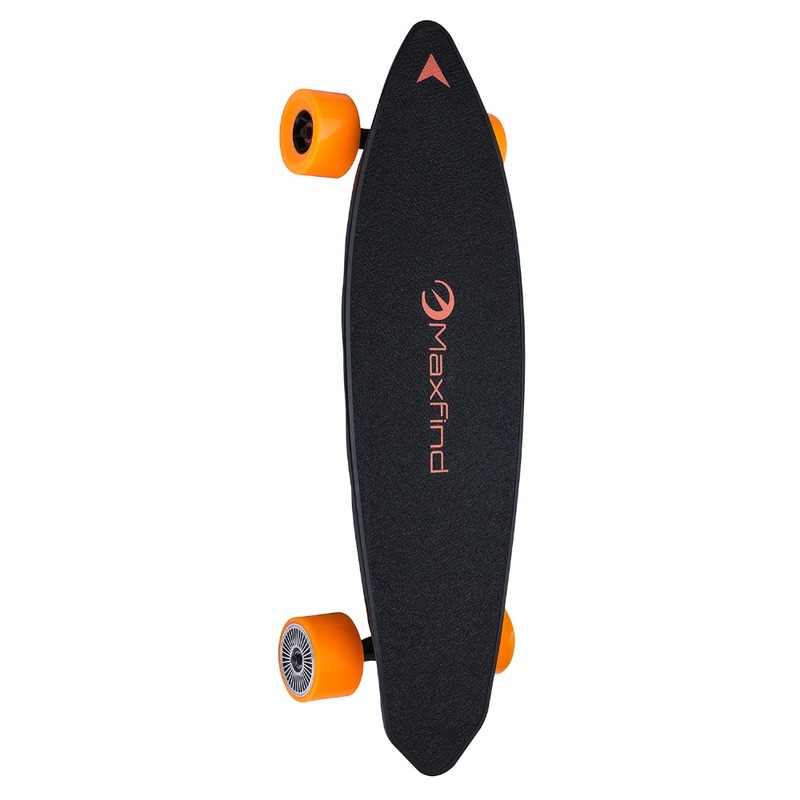 When you push the remote control forward, the skateboard will accelerate; when you push the remote control backwards, the skateboard will slow down.